DESIGN: AGS-6 aerosol fire extinguisher generates dry aerosol cloud which extinguishes fire upon reaching necessary concentration in protected volume. 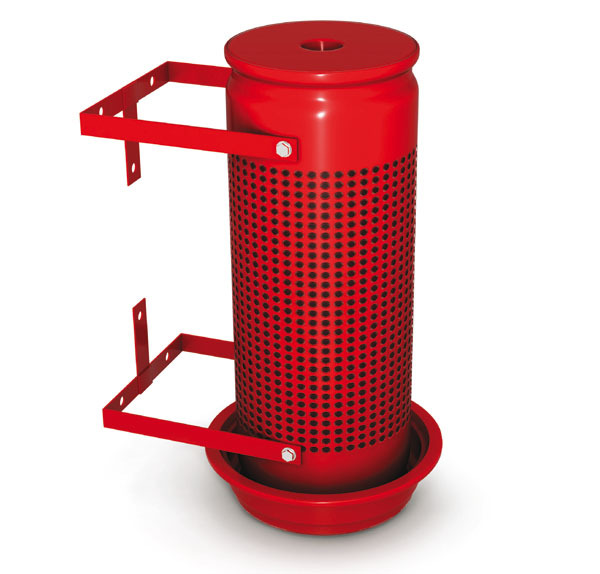 AGS-6 aerosol fire extinguisher has steel cylinder body with nozzles on the side surface. AGS-6 aerosol fire extinguisher has protected volume 52 m3. Outer aerosol stream temperature is lowered by contact cooler. APPLICATION: AGS-6 aerosol fire extinguisher is recommended for protection of the premises of medium volume.